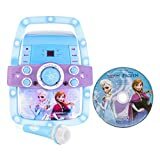 There is probably no need to mention that the Disney Frozen Karaoke Machine is one of the most popular and desired ones on the market. 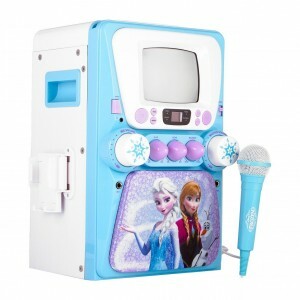 This is a great girls karaoke machine for 5 to 12 year olds. Girls can sing along using this machine for hours, non-stop, I can guarantee you that. Many parents have asked me if this is a great karaoke machine for kids and if it’s a good buy for the price. As always, I have done happily the hard work for you. After reading tons of reviews about this product, talking to consumers like you and actually using and seeing this karaoke machine in use for a few times, I decided to summarize my findings. After reading this, you will be well equipped with all the information you need before purchasing this machine. There will be no confusion and you will know what to do when getting all those nagging pressure from your kids to buy this cool toy for them. After reading this one, feel also free to browse my site and take a look my karaoke machine reviews which are the most comprehensive ones you can find online. So, here you go, enjoy the post and happy shopping. 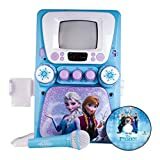 OK, let’s start our in-depth Disney Frozen Elsa and Anna Karaoke machine review with the model 69127 which has proved to be in demand and very popular. 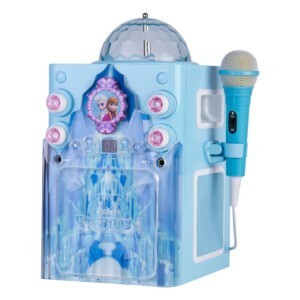 This is a perfect karaoke machine for girls. There is no setup required and can be used right after coming out of the box. It’s light and portable which makes it an ideal toy for happy kids gathering such as play dates, birth parties and alike. 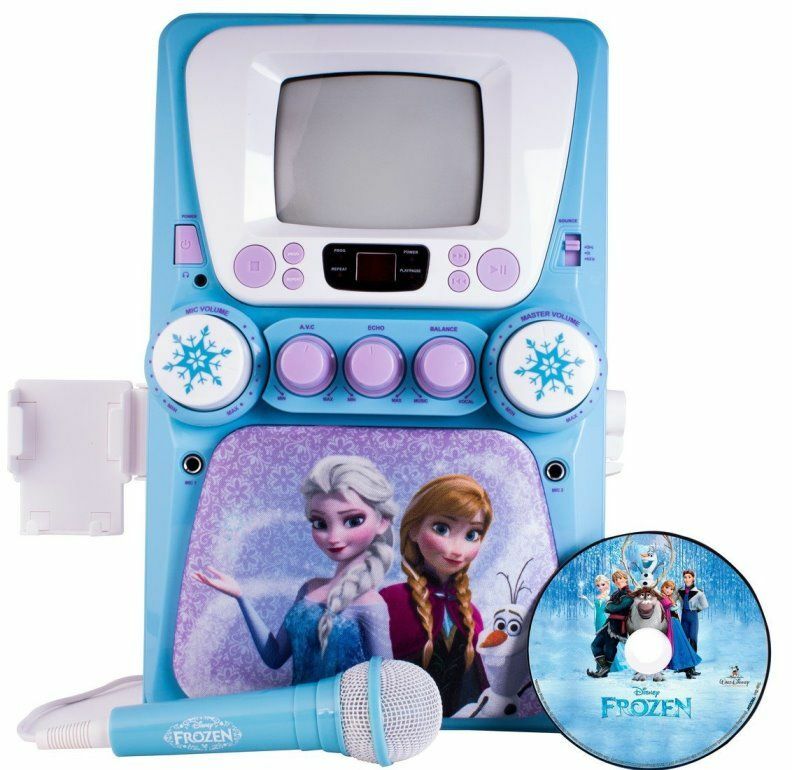 Bring popular songs from the movie Frozen to your girls party using this karaoke machine for kids. The appearance is designed to the taste of young girls. 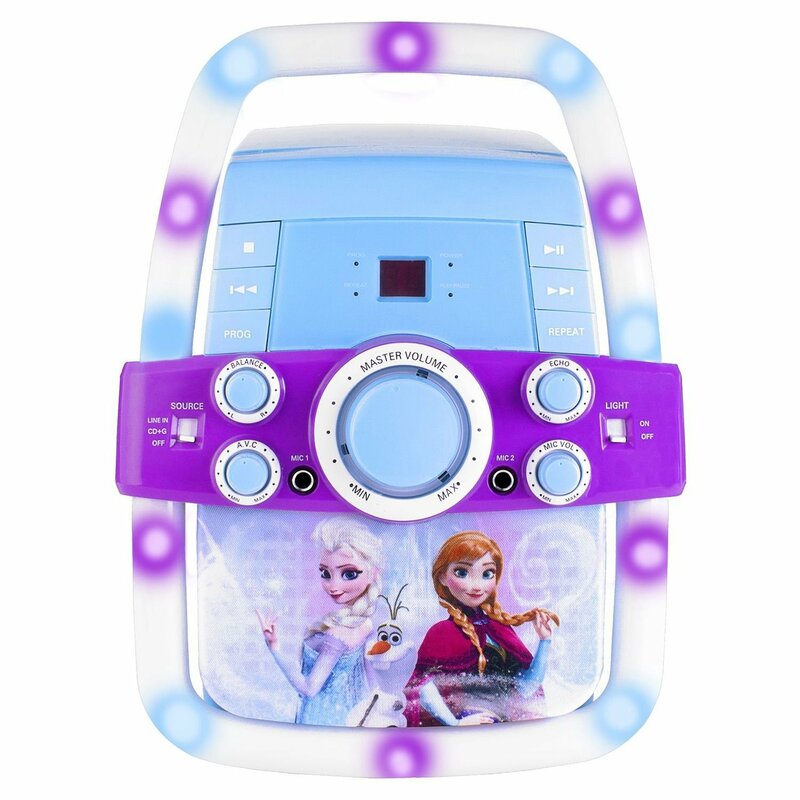 The picture of the two sisters combined with snowflake accent and color blue makes this karaoke machine very appealing to younger girls. 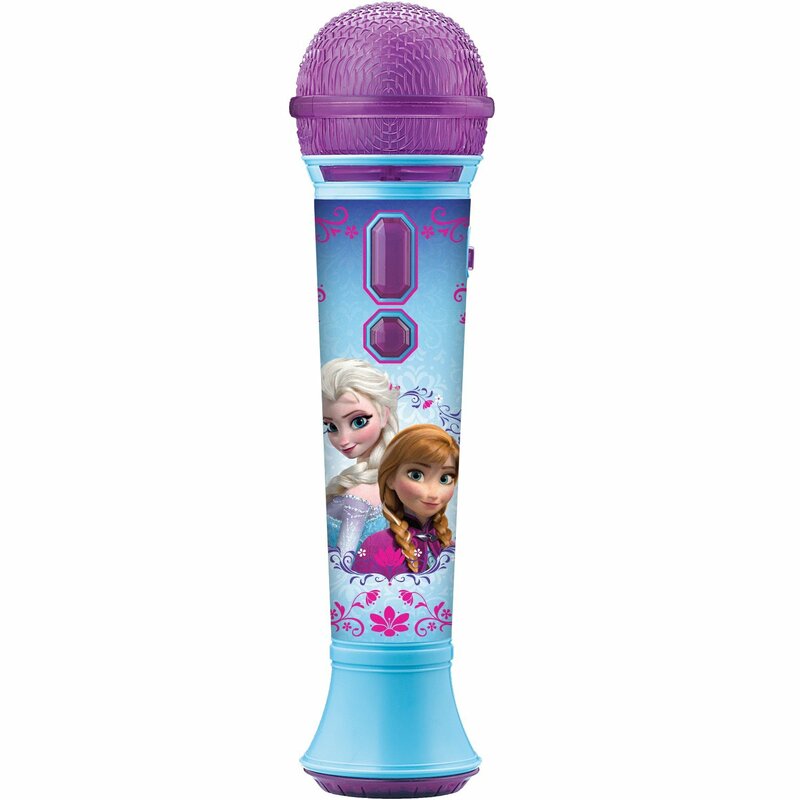 The Disney Frozen karaoke machine comes already with a hand-held microphone. This is very practical as you won’t have to purchase one in addition to the machine itself. With that being said, there is an additional microphone input which allows the usage for a second microphone. 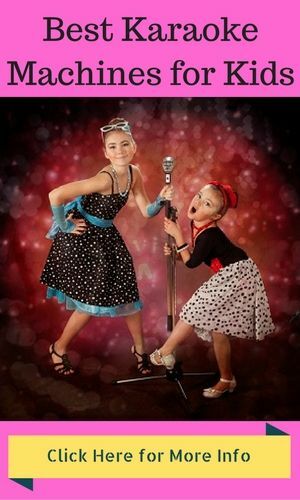 Most consumers love this option as it allows girls to sing duet and have more fun while singing in group. It is also worth mentioning that the microphone cord is long enough to give the performer some movement flexibility and help avoid getting stuck besides the machine while performing. There is also a microphone holder on the side for your convenience. Note that the second microphone does not come with your purchase and has to be bought separately. This is a karaoke machine with monitor that is used to display song lyrics. The screen size is descent, 5”, for its use and allows the singer to follow the lyrics streaming while singing along. 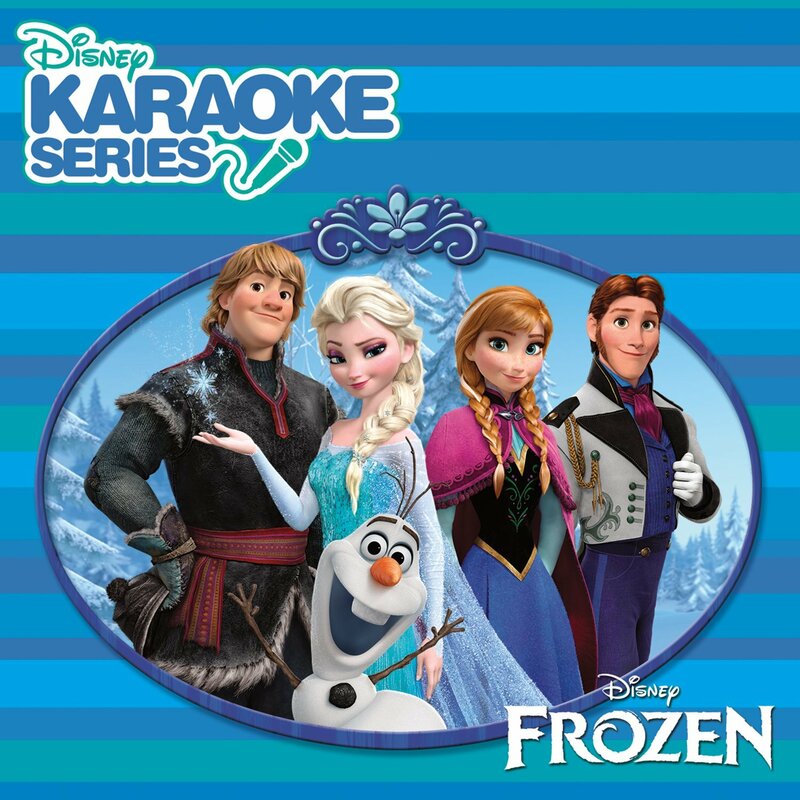 With that being said and if you would like to see lyrics on a bigger screen, you can hook up your Frozen karaoke machine to your TV at home. You can use the Audio/Video AV cable that comes with your purchase for this purpose. This is a cool feature for bigger parties where you don’t want things get crowded around a small screen. This kids karaoke machine is equipped with a CD+G player. 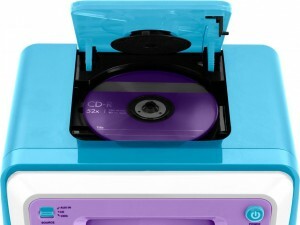 I know, some of you may not be familiar with karaoke terminology and might be wondering what is a CD+G player? 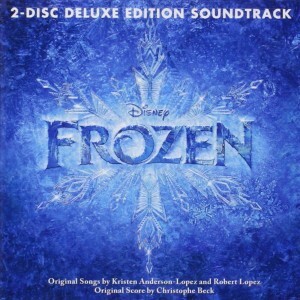 CD+G’s look like CD’s and have the same functionality and in addition, they contain the lyrics information when recorded. This means a CD+G includes both sound and lyrics, which is what you are looking for when buying a karaoke machine, right? I have other great news for you here. With your purchase comes a bonus CDG and booklet. 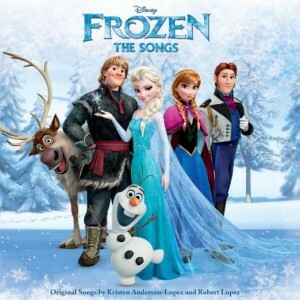 This means your girls and their friends can play music and sing popular songs from the movie, more in particular, the songs “Let it Go” and “Do You Want to Build a Snowman”. How cool is that? This karaoke system offers holders for your iPod, iPad, iPhone, MP3 player etc. This means you can use your smart device or any sort of tablet as an additional song source. This is an awesome feature that gives you the possibility of using your favorite playlist without having to buy additional CD’s or CDG’s. 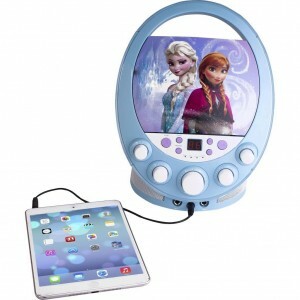 You may ask how the Frozen karaoke machine is iPad or iPod compatible? How can I use my MP3 player or smart device with such system? Well, this machine has simply an AUX input that makes the audio connection to your device possible. By connecting it to your smart device, you can hear the sound through the karaoke machine and see the lyrics either on your iPad screen or on your TV if you choose to connect your Frozen karaoke machine to your TV with a bigger screen. 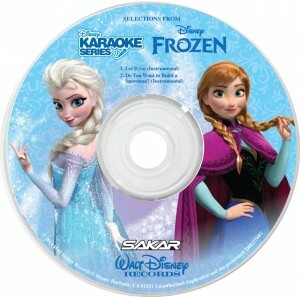 Now that you are getting familiar with these features, I am sure you are starting to agree with me when I say that your girls will have a blast using these features while singing along using this system. The Disney Frozen Karaoke system offers built in speakers. So there is no need to hook up speakers to this system. The karaoke speakers have descent quality and do the job. There is no recording option included with this system. 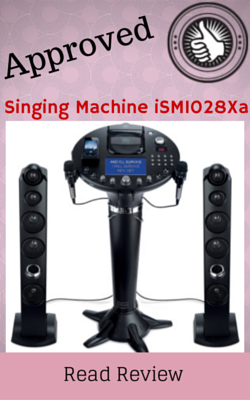 This karaoke machine comes with standard voice and sound controls. You can enjoy features such as Echo control, Balance Control and Automatic Voice Control (AVC). These features allow for a better user experience and make the usage of such system more fun and entertaining. Aux input – to connect your iPod, iPad, iPhone, Tablet, MP3 player or smart device to the system. This karaoke machine comes with an AC adapter. This system does not have a remote control. This system does not need any setup and is ready to plug and play right out of the box.. There are plenty of online reviews for this system that you can take a look at. As you know from my posts, I always read most reviews that can be found anywhere before writing a review on a product. I also try to get my hand on the product and use it and see it in action before providing my expert opinion on it. Most reviews are positive for this product. Parents are thrilled and excited to see their kids so happy playing with this toy. Most consumers mentioned descent sound and overall quality for the price paid. Also the general opinion about the design and aesthetics has been very positive. Most users seem to be very happy about the fact that this machine is smart device and MP3 player compatible and give it a thumbs up because they don’t have to collect CD’s and CDG’s to operate the machine. Most complaints had to do with poor out of the box experience. As I have always mentioned in most of my kids karaoke machine review, the manufacturers tend to make these systems as affordable as possible for the consumers. These are not professional machines and are mostly used by kids for a limited time frame. As such you rarely find any of these karaoke machines built using super quality material as there is no need for that. That’s why most complaints are centered around durability, more in particular the screen quality and the fact that it had stopped functioning after few days for some consumers. I think the way around it is to use the one year warranty and the fact that Amazon always replace these systems if you find them defective out of the box. This karaoke machine comes with one microphone. Consumer ratings for this karaoke machine are very good. 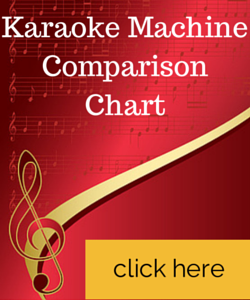 This is a versatile karaoke machine built around a very popular theme. Kids love it and have tons of fun playing with it. The machine is portable, easy to use and offers features that more advanced and professional systems would have. Examples are sound controls such as Echo, balance and AVC control, connectivity to TV as well as iPod, iPhone and iPad compatibility. Now that you have read all the features that this machine has to offer, I am sure you would agree that the pricing is very fair. For a modest price, you get a girls karaoke machine with descent quality offering all the cool features that kids would like to see in a karaoke machine designed for the age range of 5 to 12 year old. I highly recommend this product to be on top of your list when shopping for a karaoke machine. 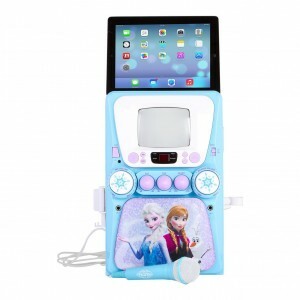 The Karaoke Novelty does NOT come with a built in screen, something that 69127 offers. That said as all other features are the same you can connect this one to your TV and read the lyrics streaming while performing. This machine comes with Colorful flashing Northern Lights which is an extremely cool feature. 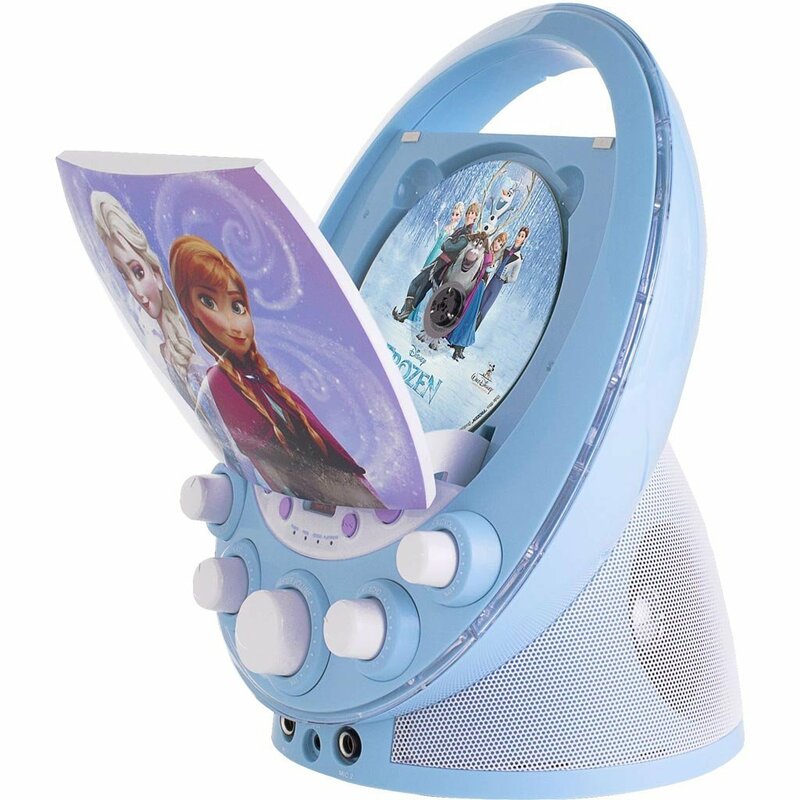 It adds lots of colors and fun to the experience and young girls really love this feature when singing their favorite songs. 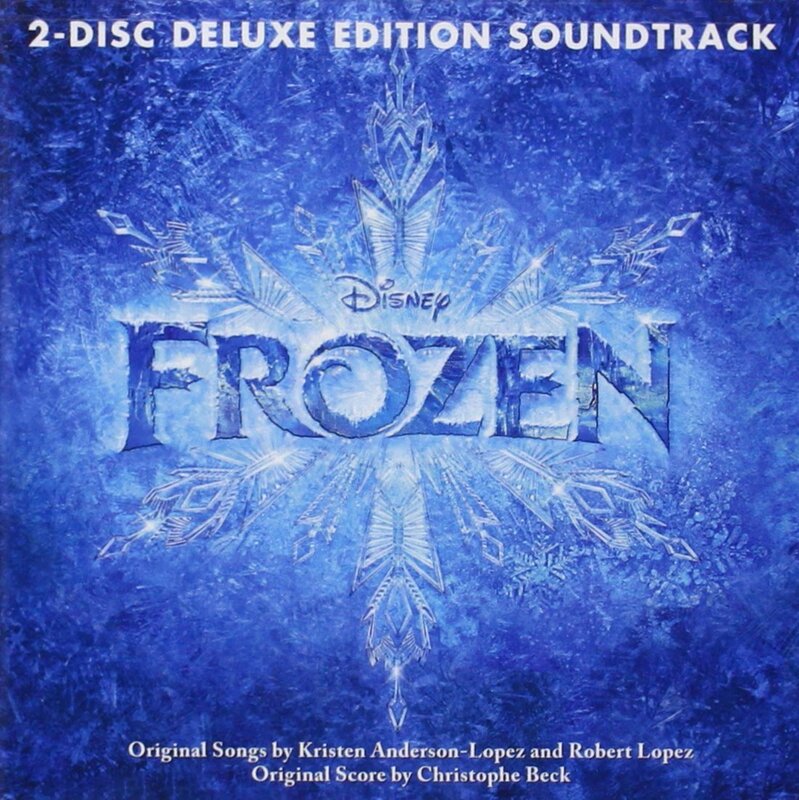 Also the design looks more “winter-ish” and more adapted to the Frozen movie theme. That’s pretty much it in terms of differences. The other main features that I explained thoroughly above do apply to this machine as well. In a similar way, it has a dock for your tablet or smart phone, generic voice controls, CDG players etc. This model has many similarities and some differences compared to the 69127 model. In this section, I am going to summarize all this so you know which one to pick when purchasing a karaoke machine for your children. 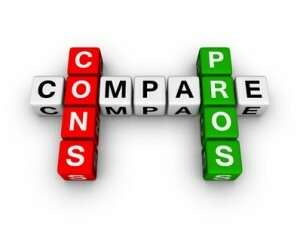 In order to make the read easier, shorter and to the point, I am only mentioning the similarities in the form of bullet points and give a little bit of more details about differences. When reading those and if you are interested in details about any of them, you can go back to previous sections and read more in detail. Standard Voice and Sound Controls such as: Echo control, Balance Control and Automatic Voice Control (AVC). The Frozen 66227 does not have a built in screen but you can hook it up to your TV. 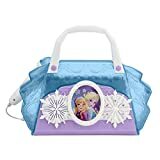 This one offers a nice LED light show around the karaoke player, something that is very appealing for young girls and they will find this very cool and fun. Also note that the Frozen 66227 karaoke machine can work with batteries but the model 62127 needs to plugged in and uses and AC adapter. This mean the model 66227 is more portable and this is kind of a big benefit for kids that want to carry the machine from one place to another and play with it. 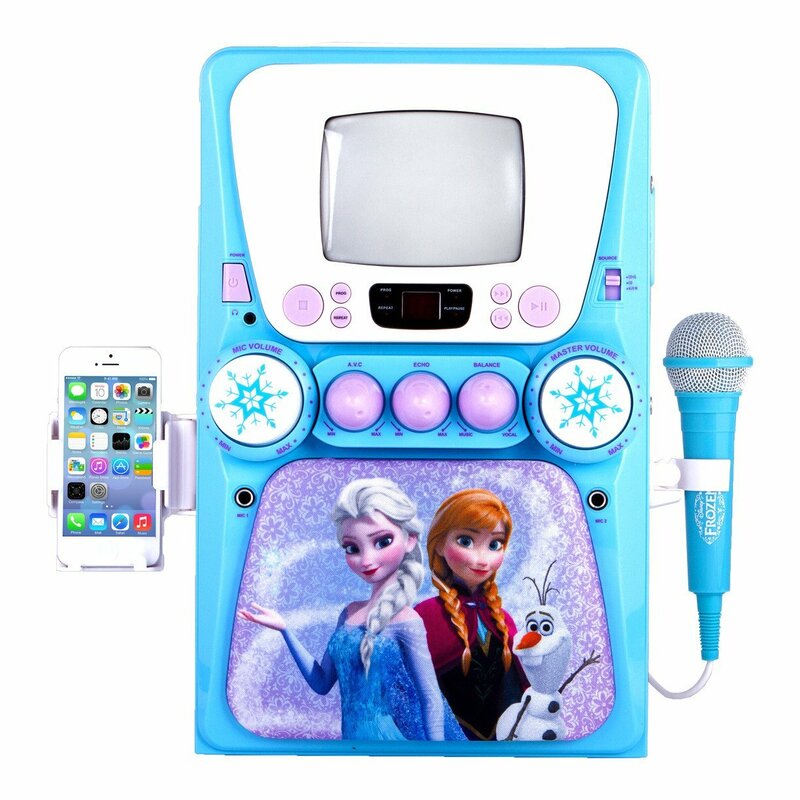 Additionally and in terms of convenience, the Frozen 69127 karaoke machine provides holders for your iPod, iPad and smart devices. This is neat and compact. With the other model you can hook up the device but have to leave on the floor or somewhere as there is no holder. Last but not least, the model 66227 is somewhat cheaper and the main reason is it does not offer a built in monitor. So this is something to take into account if you are really tight in budget. This karaoke machine has exact same features as Frozen 66227 Disney Disco Party CD+G Karaoke with Light. 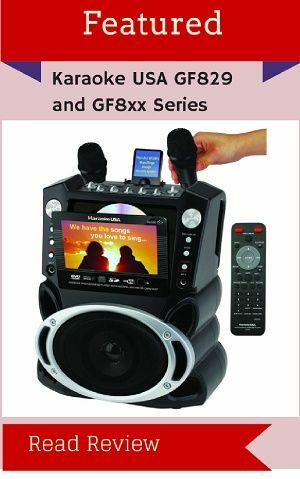 In other words, it comes with CD+G player, can hook up to your TV, it has a dual jack for those who would like to use a second microphone and can be connected to smart devices such as iPod, iPad, iPhone and tablets. You might ask: then what the difference and which one should I buy? It’s just the look and even more so, it offers more colorful flashing light that make your parties more fun and trendy. This is a feature that girls love and I would say it may be a must for some of them. So when you are looking into various features when buying a Frozen karaoke machine, remember to have this one in mind and consult your little one before your purchase! 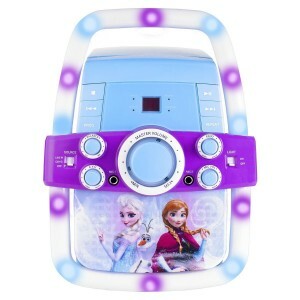 This cute sing along Boombox has been extremely popular. Well designed for girls and they love the color and its stylish design. Your girl can sing her favorite songs from the movie Frozen. 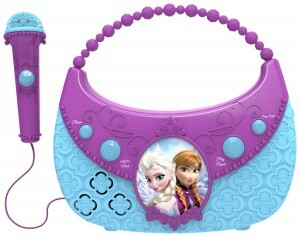 It comes with a real microphone with a long enough cord to make it comfortable for kids. You can also attached your iPod, or iPhone or an MP3 player to this device to have more choices of songs. In the back there is a little holder for your smart device. For a very low price this Boombox offers good features and quality and is appropriate mostly for girls within the age range of 2 to 10 year old. This player is highly recommended. It’s totally up to you and depends what you are looking for. 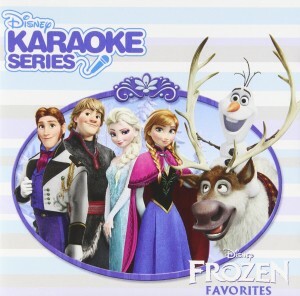 After reading my comprehensive review of the Frozen Karaoke Machines, you now have more than enough to make an informed decision when buying one. 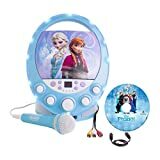 What is the Best Karaoke Machine for Kids? So You Think You Like to Sing?